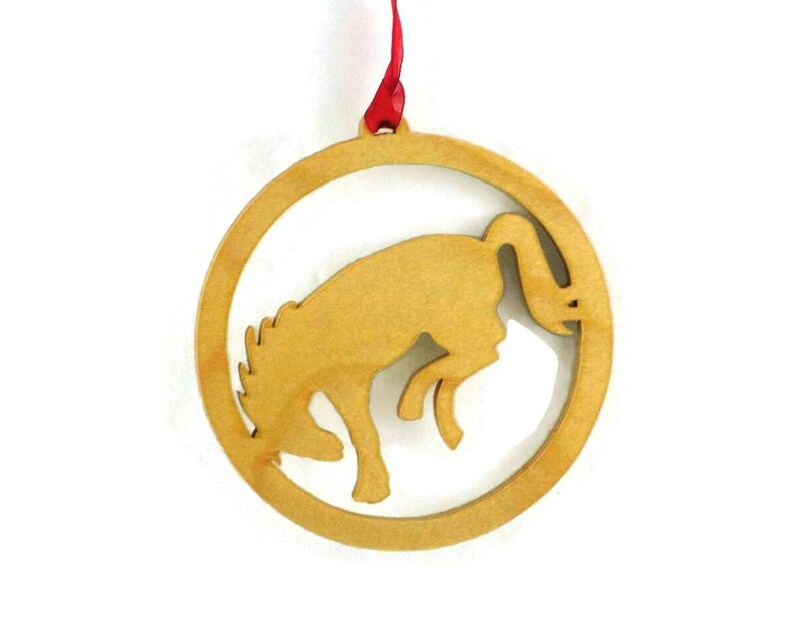 Bucking Bronco Christmas tree ornament is a perfect decoration for that cowboy / cowgirl or Buckaroo. 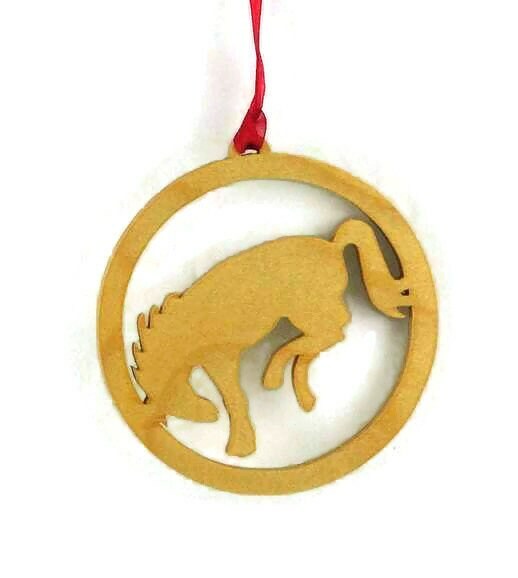 This bucking bronco Christmas ornament was handcrafted using a scroll saw and cut from birch wood. 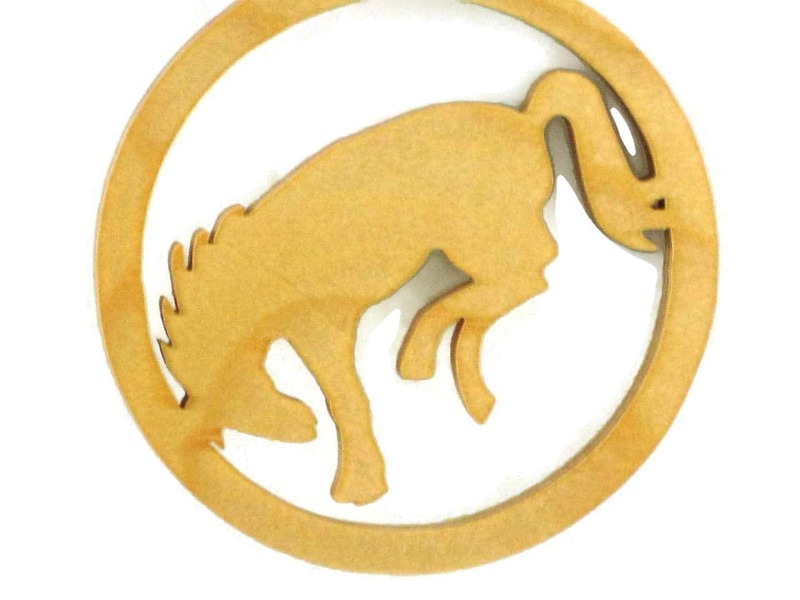 The bucking bronco is encased in a circular bulb shaped ornament and measures about 4 inch diameter and 1/4 inch thick wood. 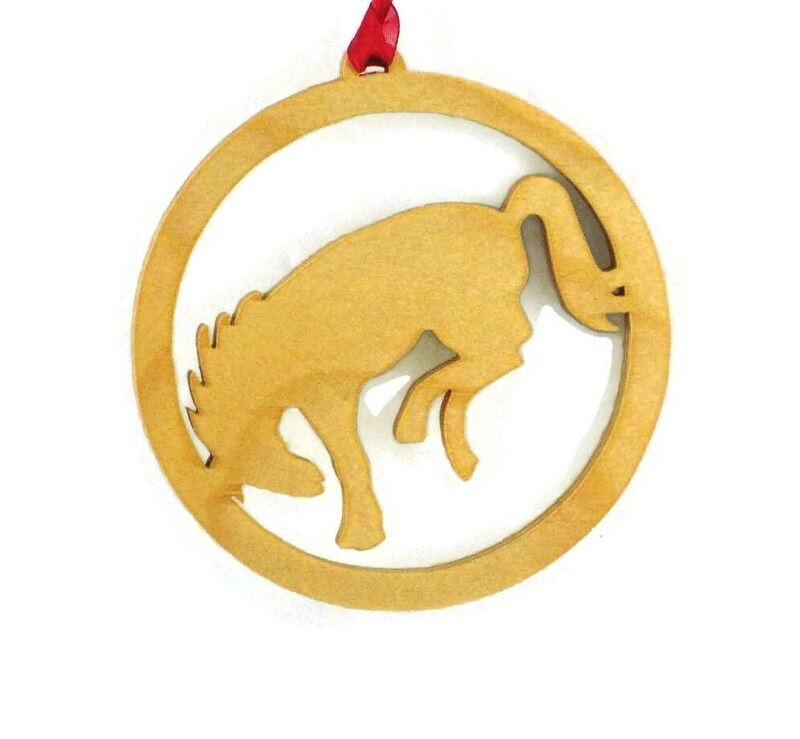 A ribbon was added for ease of hanging this bucking bronco on your Christmas tree. A boiled linseed oil finish was applied to this to bring out the beauty of the wood grain as well as protect its beauty for many years of enjoyment. 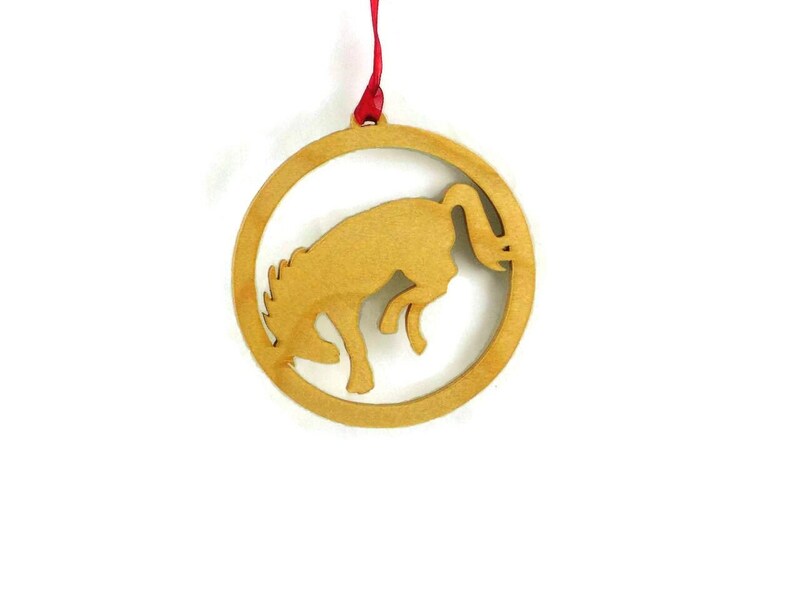 NOTE: ribbon colors and wood grains will vary from one ornament to the next so you ornament you receive may look slightly different than that of the ones pictured.